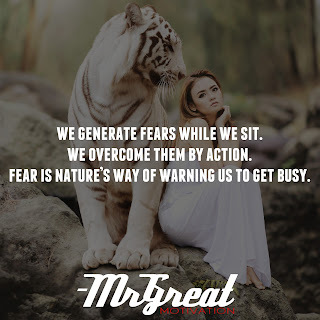 We generate fears while we sit. We overcome them by action. 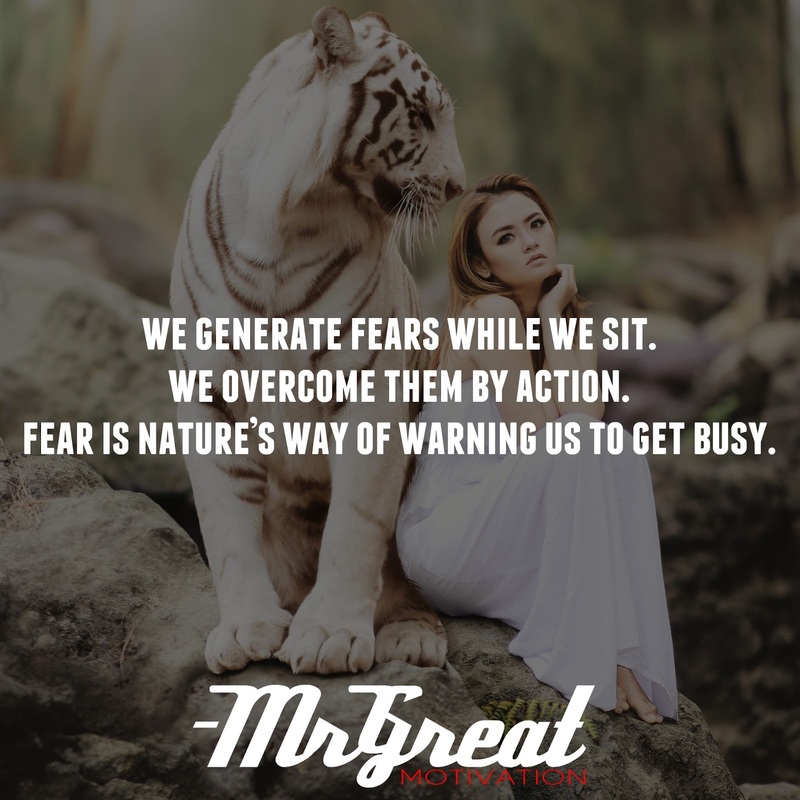 Fear is nature’s way of warning us to get busy. Fear is nothing but a repulsive sensation caused by the feeling that someone or something is threatening and likely to cause pain to us or our family. Fear feeds on inaction. It is best to think of the very worst that could happen if you do not take the chance and then, compare the worst that could happen if you do take the risk! Being frightened of things will never make things go right. It is worst to allow such things to eat you alive compared to being able to find an exit way so that you have the opportunity to let it out. We miss opportunities because of fear of failure. To quickly analyze the risks involved in a given opportunity, you need to make a list of the threats. You should consider a SWOT analysis. It will organize the strengths, weakness, opportunities, and threats of a given idea or change. A SWOT analysis does not lead to making a decision to go forward with the opportunity or not. Instead, it will present a clearer picture for you to determine the best decision for you. You will not succeed without taking action. First, analyze the idea, an opportunity. From there, take enormous action before regretting your decision. You will never find yourself succeeding once you take an opportunity without giving it a commitment. Anything is possible, fear is the only thing that creates barriers. Faith is the remedy. Take huge action! Do it now. Stay motivated.